Poor Europe. Americans have long been spoiled with up-to-the-minute PlayStation info straight from the horse's mouth, in the form of the PlayStation.Blog, while Europeans got...Three Speech. Yuck. Today, that changes! 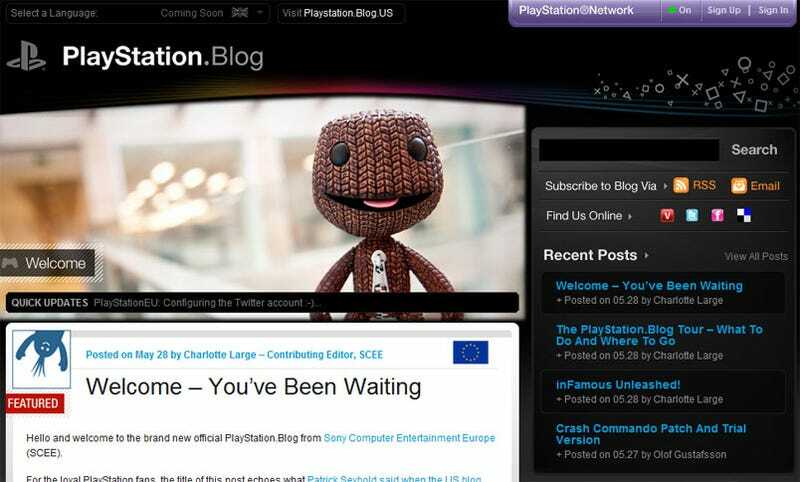 Yes, Three Speech's final post has been to announce that the PlayStation Europe Blog opens for business today, having first been announced last month. It's open right now. Go take a look. So far so good. It looks and feels like the US version, and that's been one of our favourite PR exercises in recent years, getting the mix of information, honesty and PR just right. And yes, Aussies and Kiwis, you'll be covered as well.